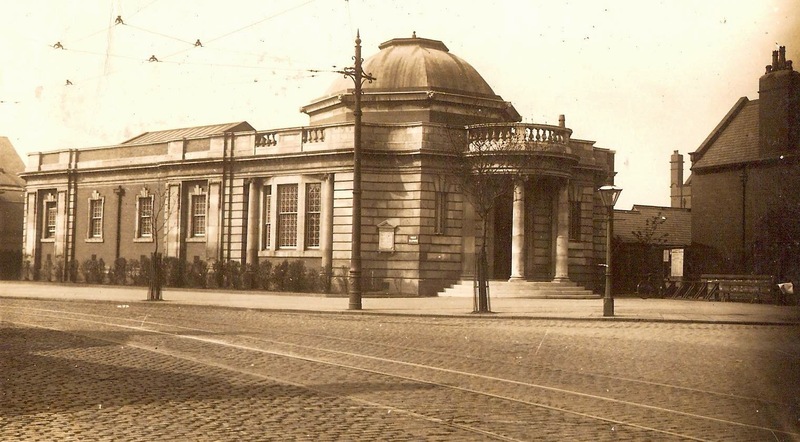 I say first proper municipal library because we had had a few private ones and a temporary one but this building opened in November 1914 was a proper first. But they were a little slow in coming. 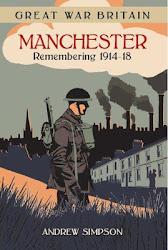 In the case of Chorlton the first library was opened in 1908 in a rented house on Oswald Road and it would be another six years before a purpose built library was opened on Manchester Road. The Manchester Guardian reported “the style is Classical with Ionic columns in Portland stone and had 7,420 books, [which] if necessary can be increased to 10,500 volumes. There is a general reading room for adults and one for juveniles." 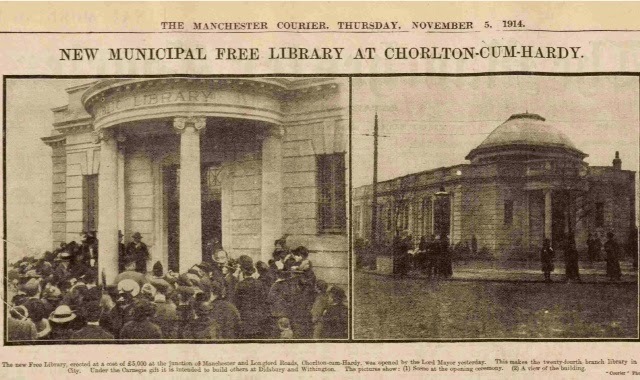 In an age which has seen libraries add computers to the resources available to the user it is perhaps surprising that the Lord Mayor in opening the library nearly 100 years ago. It was one of those funded by Andrew Carnegie but more of him elsewhere on the blog.